*CET (Central European Time) is equal to GMT+1. Please note that during the period from 24/12/2014 to 02/01/2015 trading conditions and margin requirements are subject to change. Furthermore, there may be periods of decreased liquidity in the market for certain trading instruments during these dates. Templer FX reserves the right to switch instruments traded with low liquidity into "Close only" mode or to temporarily freeze trading on these instruments without prior notice if necessary. All current and new Templer clients are eligible to take part in Templer's 2014/2015 Christmas/New Year Bonus Campaign. Qualifying clients earn a 10% bonus credit on all deposits between December 22nd 2014 and January 23rd 2015 up to a cumulative bonus amount of $2500 per account. Get an extra +5% (+15%in total) Bonus for bank wires and payments via self-service terminals/payment terminals , 2.5%( 12.5% in total) for PayAnyWay™ transfers and +2%( 12% in total) for payments via "Contact" ! EUR/TRY and USD/TRY are offered for trading now. "Contact" withdrawal service is now up and running. Templer FX temporarily stops processing withdrawals via "Contact" system for technical reasons. Our team is striving to get the service up and running in the nearest time. Our apologies for the inconvenience. Weeks of cash transfers with Templer FX. Get your 15% "Cash Bonus" for all deposits (in-out difference) made using pay-point (self-service terminals, SSTs) terminals and "Contact" transfer system between 05th of Novermber and 21st of November, 2014. Special terms and conditions are applied: Minimum volume : Bonus/ 5. Let's take your "Cash Bonus" is $100. To withdraw such bonus, you will need to trade 100/5 = 20 standard lots(Forex only) within 4 months since the date the Bonus was credited to your account. All current and new Templer clients are eligible to take part in Templer's 2014 Autumn Bonus Campaign. Qualifying clients earn a 10% bonus credit on all deposits between September 24th 2014 and October 24th 2014 up to a cumulative bonus amount of $2500 per account. Get an extra +5% (+15%in total) Bonus for bank wires and payments via "Contact" , 2.5%( 12.5% in total) for PayAnyWay™ transfers and +2%( 12% in total) for Payment via payment terminals ! Now you’re able to top up your account using “Contact’ payment system’s network of 330 000 service points in 150 countries worldwide. No need to open an account, no need to use bank card- just go to bank with your ID. For payment instructions ,please, fill out invoice request form. Celebrating 5th anniversary of Liqpay Templer FX is happy to introduce new “Liqpay Bonus” campaign. Qualifying clients earn a 10% bonus credit on all deposits between August 13th 2014 and August 27th t 2014 up to a cumulative bonus amount of $2500 per account. Please note that Bonus is granted to cards transfers made using Liqpay payment system only. The “Liqpay Bonus” is intended for trading purposes and will enable clients to support their positions for a longer period as well as give clients the option to trade a larger volume. 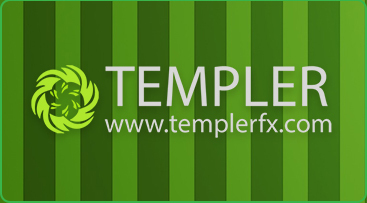 Templer FX is constantly striving for widening options for withdarwals and deposits. We're glad to inform you that since July 15th you'll be able to withdraw funds to Maestro Cards. This steps widens the raw of card types available for withdrawal to 5: Maestro ,Visa, MasterCard, American Express and Diners Club International. All current and new Templer clients are eligible to take part in Templer's 2014 Summer Bonus Campaign. Qualifying clients earn a 10% bonus credit on all deposits between July 7th 2014 and August 8th 2014 up to a cumulative bonus amount of $2500 per account. Get an extra +5% (+15%in total) Bonus for bank wires , 2.5%( 12.5% in total) for PayAnyWay™ transfers and +2%( 12% in total) for Payment via payment terminals(Wallet One™) ! In addition to Summer Bonus,Templer FX is happy to inform that with every subsequent deposit made (any deposit after your initial deposit) we will be crediting our clients with a 1% Loyalty Bonus for each trading year with us! We're glad to inform you that since July 3rd your'll be able to withdraw funds from your trading accounts to your PerfectMoney and Yandex.Money e-wallets. Templer FX is happy to anounce launch of one stop platform central for traders. Platform Central's™ URL is web.templerfx.net. Stay up to date,place and close orders, monitor live trades, set stop-loss and take-profit and more with our universal platforms generation . Our Forex and Binary options services should just work , no matter what device you're using or where you are: PC/MAC , Android, iOs , Windows phone or tablet. *** Special terms and conditions are applied: Minimum volume : Bonus/ 5. Let's take your Bonus is $100. To withdraw such bonus, you will need to trade 100/5 = 20 standard lots(Forex only) within 4 months since the date the Bonus was credited to your account. Get your 15% Bonus for all deposits (in-out difference) over 500 USD made to RietumuBank between 21st of May and 4th of June. Special terms and conditions are applied: Minimum volume : Bonus/ 5. Let's take your "Bank Bonus" is $100. To withdraw such bonus, you will need to trade 100/5 = 20 standard lots(Forex only) within 4 months since the date the Bonus was credited to your account. Templer's 2014 Spring Bonus Campaign. All current and new Templer clients are eligible to take part in Templer's 2014 Spring Bonus Campaign. Qualifying clients earn a 10% bonus credit on all deposits between March 29th 2014 and May 2nd 2014 up to a cumulative bonus amount of $2500 per account. Get an extra +5% (+15%in total) Bonus for bank wires! Terms and conditions of Bonus +10%. In addition to Spring Bonus ,Templer FX is happy to inform that with every subsequent deposit made (any deposit after your initial deposit) we will be crediting our clients with a 1% Loyalty Bonus for each trading year with us! Terms and conditions of Loyalty Bonus. Get your 15% Bonus for all deposits (in-out difference) over 500 USD made by using your MasterCard between 24th of February and 7th of March. Special terms and conditions are applied: Minimum volume : Bonus/ 5. Let's take your "MasterCard Bonus" is $100. To withdraw such bonus, you will need to trade 100/5 = 20 standard lots(Forex only) within 4 months since the date the Bonus was credited to your account .